Nickel Alloy 718 Supplier - Inconel 718 | Stainless Shapes, Inc.
Nickel 718 is one of the higher strength nickel base alloys. Often it is used for cryogenic temperatures with sustainable and long-term service at 1200 degrees. Often it is manufactured in a hardened condition and can be fabricated easily and quickly. Nickel 718 is one of our most sought after metals if you have any questions about whether or not Nickel 718 is right for you, give us a call and speak to a coordinator! Chemical Composition – The composition is what makes this piece so intriguing. Our 718 is roughly 50-55% Nickel, while Chromium, Niobium, Molybdenum make up the other 25-30% with the other large section dedicated to Iron. This means that it will have a ton of corrosion resistance without sacrificing hardness. Physical Properties – The iron is what gives it such strength and hardness, although the rest of the chemicals bring down it is long form sustainable temperature. It can maintain it is strength and durability in temperatures of 1200 for long periods of time while being machinable and thus sustainable briefly near 1800. Machinability – Once at a high temperature, it can be easily formed into whatever shape you like. However, it is hot annealed only. 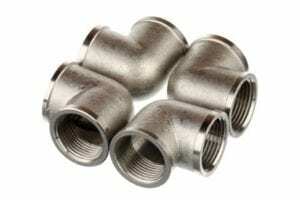 Cold annealing is allowable for small changes, but it is better to make all of the changes when the nickel is still piping hot.